As over 90% of all Aboriginal students in NSW attend their local Public School, the AEC was delighted to read the recommendations contained in the 2012 release of The Review of Funding for Schooling, (known as the Gonski report ) commissioned by the then Prime Minister the Hon Julia Gillard. The review was wide ranging and took over 7,000 submissions from schools, teachers, academics, researchers and members of the general public. The Committee travelled to 39 sites to hold public meeting and gather information and evidence. It was the most thorough review of the funding of education ever undertaken. The eight recommendations clearly directed government (s) to funds schools according to student need. They also clearly stated that funding needed to be increased by at least $5 billion per year across all sectors but that all increases in funding must be directed to the public education system. The report identified what parents with children in the public sector knew, that public schools desperately needed additional funds as they had a greater responsibility and a higher concentration of disadvantaged students. The elation, that at last schools would be funded on need, was dashed in 2013 with the election of the Liberal National Party Government led by the Prime Minister the Hon Tony Abbott. 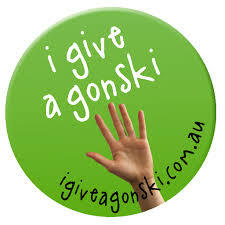 In spite of a pre -election promise to fully fund Gonski, after the election the Hon Christopher Pyne (Education Minister 2013-2015) would only commit to the first four years of funding in the full knowledge that the big increases to school funding would flow from the 5th year on. As Australia falls further and further behind on international comparisons around equity and resources it remains clear that Gonski is needed more now than ever. What did Federal Education Minister Christopher Pyne do about Gonski?